A beagle from Warwick has been suspectedly poisoned during a walk with its owners. Harvey, the much-loved family pet, became ill on Saturday evening after potentially eating rat poison while out walking near Warwick Racecourse and St Mary's lands. Devastated owners Jo Ciriani and Graham Todd have found and filmed a rat trap on their walking route, which they believe to have been the source of the poison. The couple hope their treasured pet will pull through, after finding Harvey had become lethargic and lost his appetite after returning from the walk. The following morning, they found their beloved beagle extremely unwell and blood all over the floor. 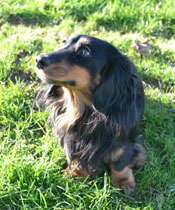 Harvey has since been given a blood transfusion after being rushed to a local vets. Speaking to the Warwick Courier, Miss Ciriani said: "We are devastated at Harvey's condition and hoping he'll pull through treatment. "We want to warn as many people as we can about the traps at Warwick Racecourse - it's a popular dog walking route and we would hate another animal to go through what Harvey has gone through." The RSPCA advises owners to stay calm and contact a vet immediately if they believe their pet has been poisoned.